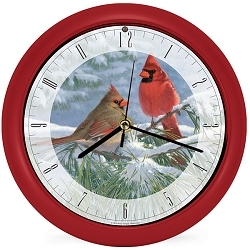 Home > Nature Gifts/Decor > Wall Clocks > Rustic Cardinals Sound Clock 8"
Beautiful song of the Northern Cardinal every hour! 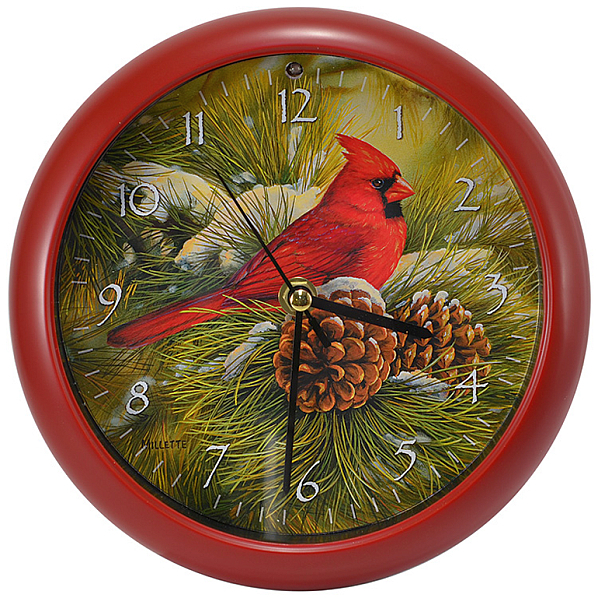 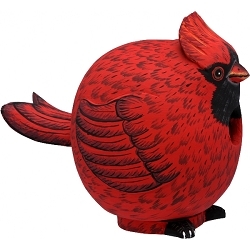 8 inch Clock features Rustic Cardinals by renowned artist Janene Grende. 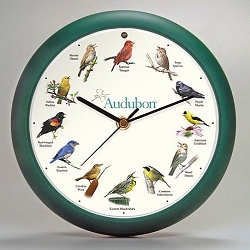 Each hour is announced by a beautiful Cardinal song. 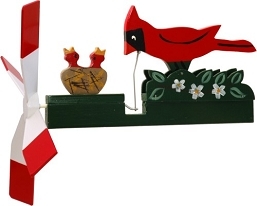 Perfect for wall or desk, using the built-in stand. 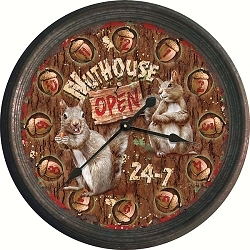 Light sensor deactivates sound when room is dark. 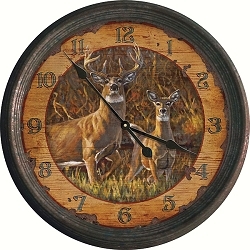 The clock will bring the wilderness into your home, lodge or cabin! 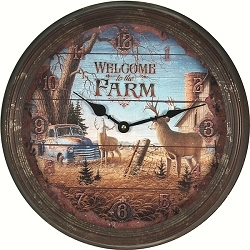 Licensed by Wild Wings Collection. 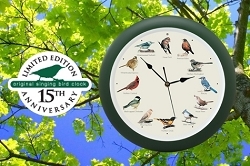 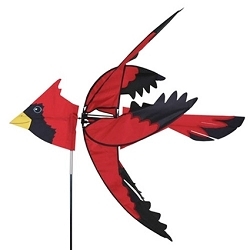 Makes a wonderful gift for the birding enthusiast! 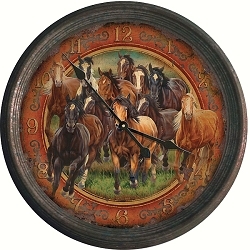 Dimensions: 8" x 8" x 1.7"